“The behaviour of pupils is exemplary and no time is wasted during lessons. Pupils are extremely positive about their academy and enjoy their learning a great deal. 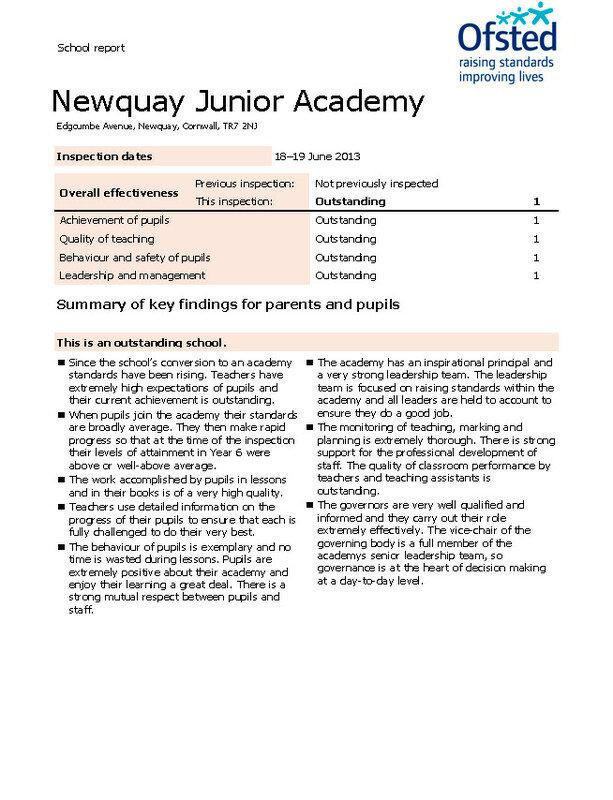 There is a strong mutual respect between pupils and staff”.